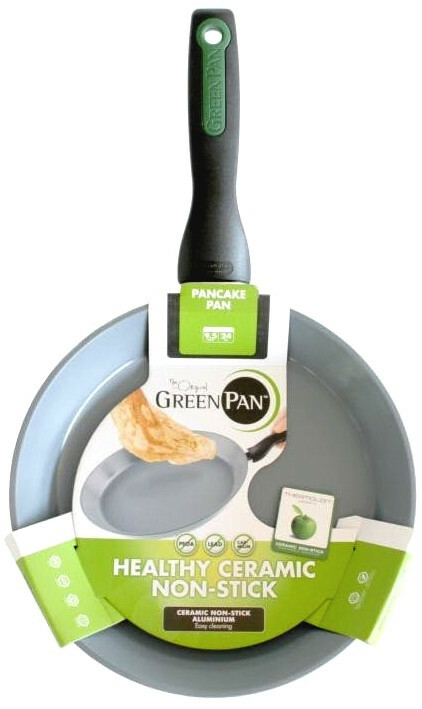 The GreenPan Rio Pancake Fry Pan; the GreenPan Rio frying pans incorporate a pop of colour into the bakelite handles, making your kitchen a little happier. 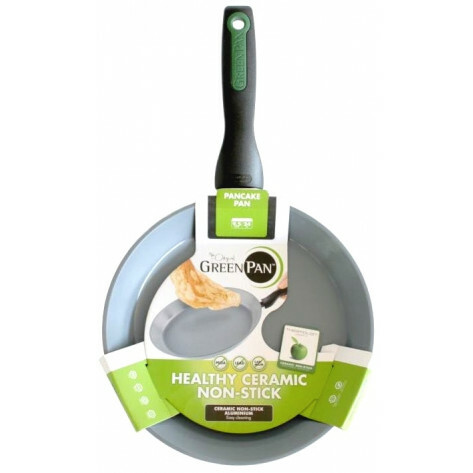 Rio is created with black aluminium bodies with extra thick bases for perfectly even heat distribution, stay-cool handle for comfort and hold and GreenPans signature grey Thermolon healthy ceramic non-stick coating for maximum food release. Rio is easy to clean, easy to use and oven safe up to 180°C. Your new favourite in the kitchen!